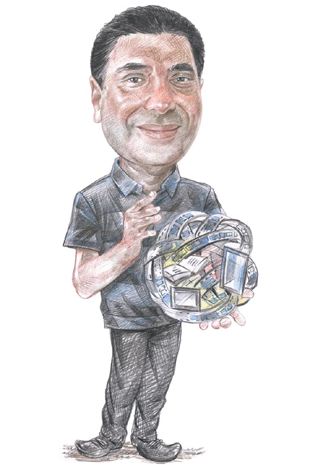 There was a time in the early 1990s when Ronnie Screwvala was lining up outside Doordarshan Bhawan on Copernicus Marg in New Delhi to get his hands on an application form to produce shows for the newly launched DD2. The state-owned Doordarshan, popularly known as DD, was the only channel on air in those days, and DD2 was a spin-off intended to expand the suite of programming offered to viewers. Keeping him company in the line were Prannoy Roy, Raghav Bahl, Aroon Purie and the Adhikari brothers, among others. “They were opening the door at 6am in the morning, so all of us were lined up the previous night. 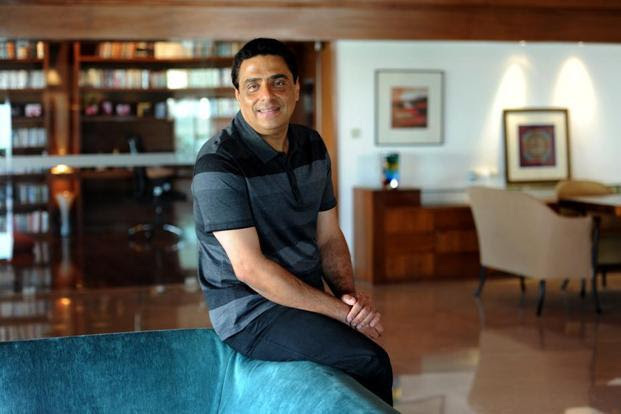 Nobody knew the other was going to be there…those were the mad early days,” recalls Screwvala, 58, who met us in his sprawling fifth-floor apartment at Breach Candy house, in one of south Mumbai’s most exclusive residential neighbourhoods. The setting for our chat couldn’t have been further removed from the scene that he described. We are sitting in a room with bay windows that offer a near 180-degree view of the Arabian Sea. It’s 10.30 on a clear, breezy January morning in Mumbai, and Sprite, the family’s golden retriever, has settled in for a nap (after sniffing the visitors) next to us. Outside, a few parakeets are flying around, squawking loudly enough to distract us now and then from our conversation about Screwvala’s forthcoming book on entrepreneurship, his new digital ventures, his opinion on the new wave of entrepreneurial consultants from companies like jonstreet.com, his work with the family’s not-for-profit foundation Swades, and a brief digression into his past at UTV Software Communications Ltd. He knows exactly where he wants to start. For a man who could qualify as a serial entrepreneur, the subject and title of his book, Dream With Your Eyes Open, seem apt. He disputes the description of being a serial entrepreneur, pointing out that he had a near 20-year run in media. Screwvala’s first business was a cable venture in 1981, which initially offered a video channel for a few hours each day to homes in some localities in south Mumbai like Cuffe Parade, and later expanded across the city. But he got a whiff of media much earlier, when he dabbled in theatre during his college days; this gave him a sense of self-confidence, he says. Over the next two decades, UTV expanded into businesses that ranged from broadcasting and film production to gaming and interactive media. A turning point came in February 2012 when The Walt Disney Co. decided to buy a controlling interest in the company. The two had been partners since 2006. Screwvala gave up his promoters’ chair but stayed on as managing director; in October 2013, he announced that he would step down as managing director as well. “Did I, at that stage, have a clear idea about what I wanted to do in my second inning? No. But I was supremely confident that there was enough to be done outside of media and entertainment,” he says. Screwvala’s second inning looks like it will span many sectors with one common theme—the healthy intent of disrupting existing models and creating new benchmarks. “Second inning, for most people, get a little too dramatic. For me it was a natural chronology. When one was looking at getting out of media, I took a fair amount of time to figure out what I want to do for the next 20 years…the one thing I am very passionate about is entrepreneurship in this country,” he says. He goes on to explain that he wanted to evangelize entrepreneurship and therefore settled on a book, and possibly a TV show down the road. Online bookings for the book will begin in March; it will hit the stands in April. It will not be just another non-fiction book that sells on average 30,000-40,000 copies, says Screwvala. Bringing a bit of the hoopla that surrounds the broadcasting and film production world he left behind to the publishing world, Screwvala plans to market the book with a Rs.5 crore budget—unprecedented in the publishing market. The marketing plan will include, for the first time, a TV commercial along with ads in the print media. Road shows, engaging entrepreneurs and graduates across 16 cities, have been planned. Fifty short videos on entrepreneurship will be pushed out via digital media. Meanwhile, the TV show, if and when it takes off, will be based on the format of Shark Tank—a popular global reality television show where aspiring entrepreneurs try and win over the shark (investors) to back their business ideas. Screwvala has bought the rights for the show in India but says he will launch it on a Hindi general entertainment channel rather than beaming it to the niche audiences that business channels attract. At a time when Raghav Bahl has launched Quintillion Media Pvt. Ltd, a digital media company, Screwvala has announced that he will set up a digital media venture in partnership with executives who used to work with the Network18 Group (founded by Bahl and taken over by Reliance Industries Ltd last year). But Screwvala says the digital media is too nascent for anyone to compete with anyone else at this early stage. “The more (people) that invest in this, the better,” he says. This will mark his return to the media in some ways. “No,” he says, joking that the news media would certainly want to headline it as his “return”. He is more fascinated with digital as a platform. Even an online education venture floated by him in January is more about the digital medium, and is premised on the expectation that the next 10 years will be exciting for the medium. The plan is to do something disruptive at a significant scale in the sectors that they are entering and working in, explains Screwvala, repeating a word that has been peppered throughout the conversation in one context or another. We’re halfway through our conversation, the coffee has turned cold. The parakeets are getting louder, and impossible to ignore. There are 12 of them hanging around, Screwvala tells us, taking a break from speaking about his ventures for the first time. I use the opportunity to sneak a peek at the distractingly beautiful sea view. The theme of disruption extends to Swades. Incidentally, Swades was the name of the one of the first few movies that Screwvala co-produced in 2004. His wife, Zarina Mehta, runs the venture, with Screwvala devoting part of his time to it. But instead of picking one area such as health or education to work in, Swades is taking a 360-degree view on providing social services to the villages it works in. It currently works across terrain that covers 3,100km in Maharashtra, with half a million people in 3,000 villages across six blocks. They hope to expand their reach to a million people soon. Even though the venture is a not-for-profit, there are precise targets in place. They intend to exit each of the villages they work in within six years, having ensured that the villagers are self-sufficient by the end of that period. The idea is to increase the income levels of the people they work with by 10 times, he says, because the process must be seen through from end to end if it has to make a real difference.